The backyard has long been a space associated with recreation and relaxation, a private patch of earth to escape to, and a springboard for the imagination. 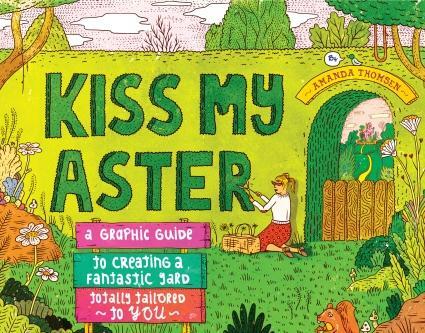 In her signature style and drawing on her personal experience as a mother, gardener, and author, Amanda Thomsen encourages kids to create kingdoms of their own making, right in their own backyards. 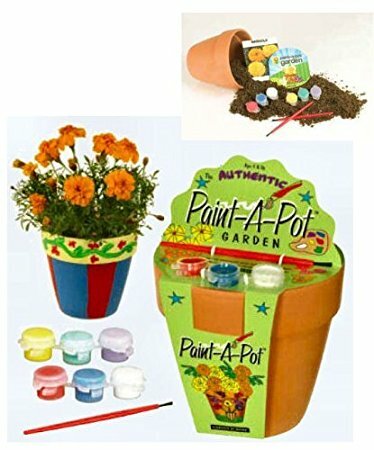 With whimsical projects for every season and any setting, from forest to pavement, fun-seeking kids and their families will rediscover the yard as a place for inspired play, using repurposed materials and existing features of outdoor spaces. 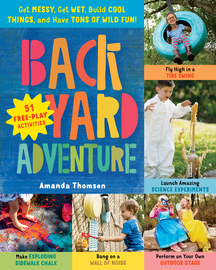 Whether they’re creating tiny gardens inhabited by action figures, weaving a secret hideaway out of a loom of twine and twigs, or setting sidewalk cracks on fire with Coffeemate, Backyard Adventure lets kids of all ages turn their yards into a place they can call their own.